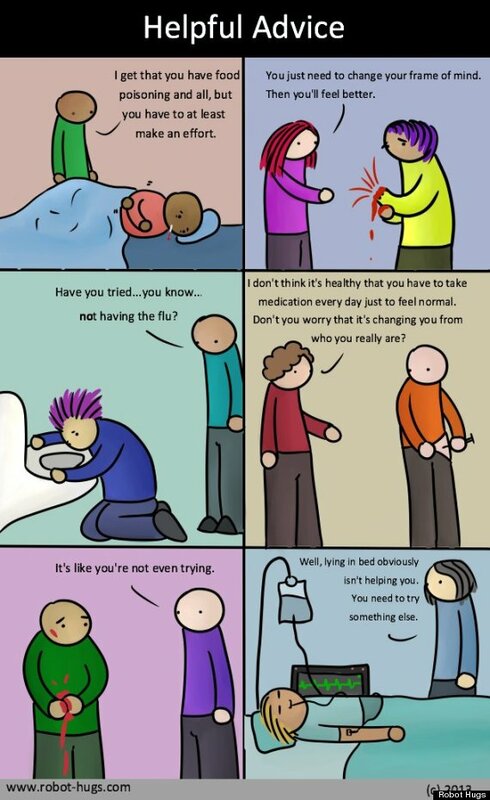 Have a look at this Blog post, it has a great cartoon illustrating how ridiculous it would look if we treated physical illness they way we treat mental illness…oh I can’t wait to show you, the picture is below…. Previous postWhat the bleep was that all about? Thank you and you are very welcome! It is certainly revealing isn’t it? I’m sorry to hear about some of your struggles. You can always come visit me here if you need to unload or just talk 🙂 Life is difficult enough without a mental illness and it can affect more that just the person who is ill. Talk to you soon!